Yuneec Typhoon H Pro is a consumer drone imparting an unparalleled drone flying experience. 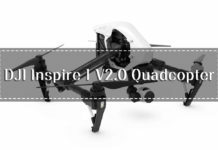 Giving the traditional quadcopter drones a tough competition, this hexacopter drone has all the features in line with a professional quality drone. 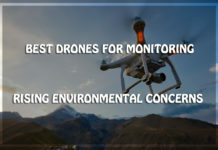 What makes this drone “best of class” is the special attention paid to the safety of the drone and the people surrounding it by intelligent Obstacle Avoidance Technology used in it. Here, we are going to take you through everything you need to know about this agile machine which can help you rule the skies. 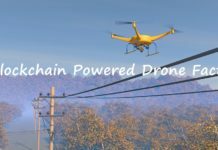 Yuneec claims to be the world leader in electric aviation which started by manufacturing model aircraft for the hobbyists. 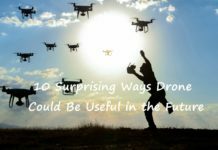 Being the first brand to introduce to the world with a Ready-to-Fly, Out-of-the-box, RC controlled drone; Yuneec has a foothold in the market which is tough to deter. In the course time, the brand realised how important it is to stick to the safety standards. 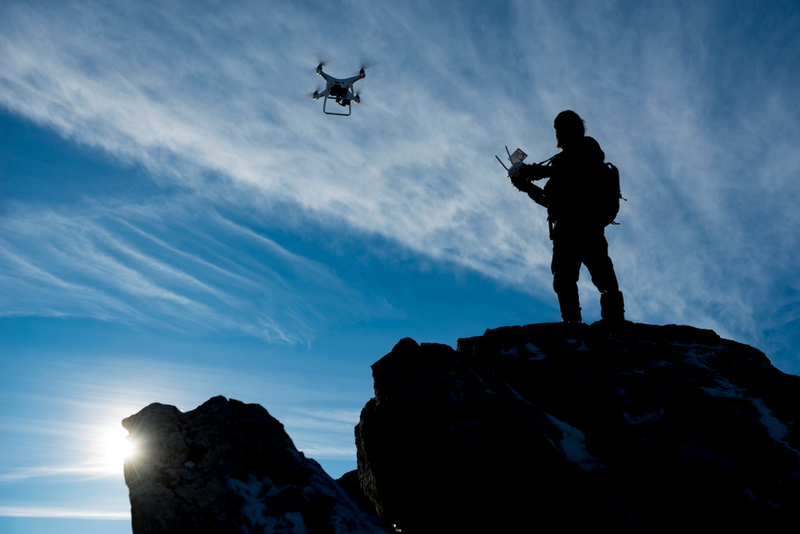 Therefore, the primary focus of Yuneec is to use advanced safety and security features. 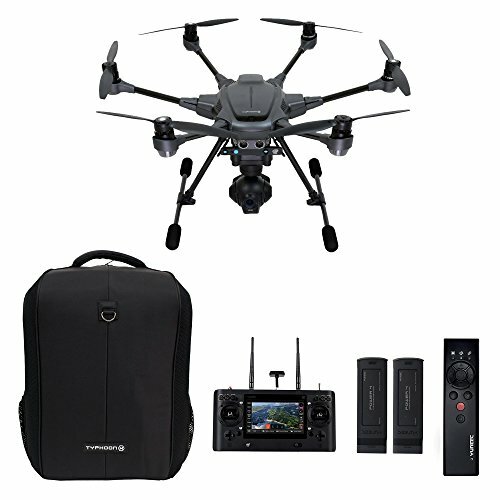 Yuneec Typhoon H is the one such innovation by Yuneec which boasts the sleek semi-hexacopter design powered by Intel RealSense Technology. 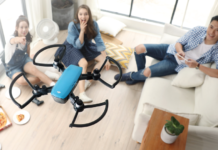 Yuneec Typhoon H Pro with Intel RealSense Technology is a revolutionary obstacle avoidance venture as it gives the drone the ability to detect obstacles and dodge them, rendering them highly manoeuvrable. When it comes to built and design, Yuneec Typhoon H Pro is a strong drone made up on carbon fibre with a well-defined structure to meet the weight/speed ratio. Optimised flights are possible because of the 6 rotor design which increase its wind resistance significantly. Yuneec Typhoon H Pro is the drone for you if you are looking for a powerful drone which gives you a flight time of approximately 25 minutes. 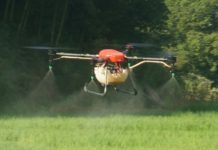 This flight time is used best with the ultra-smooth flight facilitated by 6 rotors which increases its wind resistance to 35 mph and enables the drone to fly at 30 mph even in toughest weather conditions. Orbit Me Mode: Allows the Camera to follow you in a circular motion. 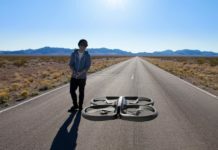 Point of Interest: Select an object the drone will orbit autonomously. Journey Mode: Capture the perfect aerial selfie by making the camera go up and down as far as 150-feet. Curve Cable cam: Design a pre-coordinated route for the drone to follow. Follow me Mode: This much popular mode will allow the drone and the camera to watch you wherever you go. 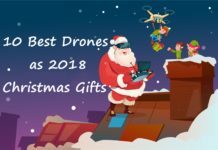 These modes and unmatched performance of this drone are energised by 5250 mAh 4S Li-Po battery which gives power to the 730 kV motors to keep the drone afloat. This sleek black drone is the life of the party when it comes to capturing what lies beyond your eyes can see. The camera has a 1-inch sensor which can record 4K videos at 60 fps, slow-motion videos at 120 fps, and capture pictures with 20 MP still camera. 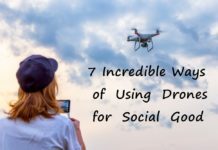 Other than that, the Burst, Interval and Panorama Modes make photography with this drone even more fun. The 3-axis Gimbal not only keeps the camera stable for precise images, but it also offers 360-degree rotation which allows you more operational autonomy. You can store everything that you want to cherish forever into the inbuilt 128 GB SD card. 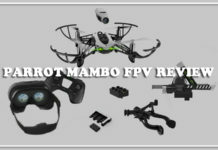 Well, what makes all this better is the fact that you can divide the responsibility of filming with the drone and controlling it by getting another remote controller (without screen) and make someone else operate it as you decide which shots to capture and which not with FPV transmission @ 720p HD. 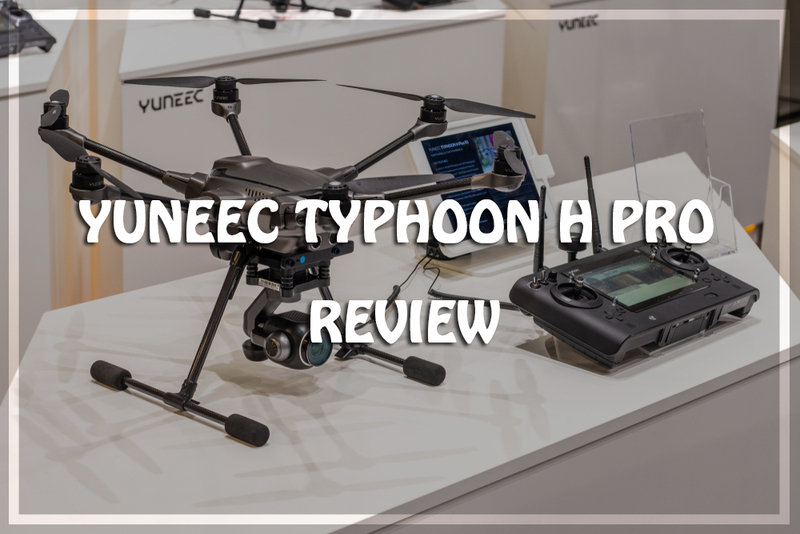 Yuneec is a brand which ensures that no safety issues arise with the drones they manufacture, therefore, Yuneec Typhoon H Pro knows its way around. 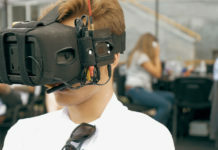 The Intel RealSense technology used in the hexacopter to help it recognise obstacles, avoid them and remember them when following the same course in future. Apart from that, 5 rotor fail-safe ensures that the drone keeps afloat even if one of the 6 rotors are working. 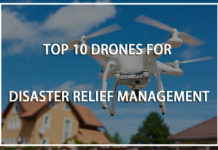 Additionally, the dynamic return to home features makes sure that the drone gets back to you without any damage. DJI is a big name in the drone market as compared to any other but that doesn’t stop Yuneec to launch their Typhoon H Pro in the same price range. 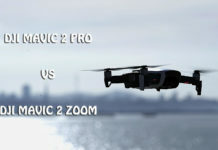 The features of both the drones such as obstacle avoidance, over 20 minutes of flight time, and similar camera specifications make the two competitors. 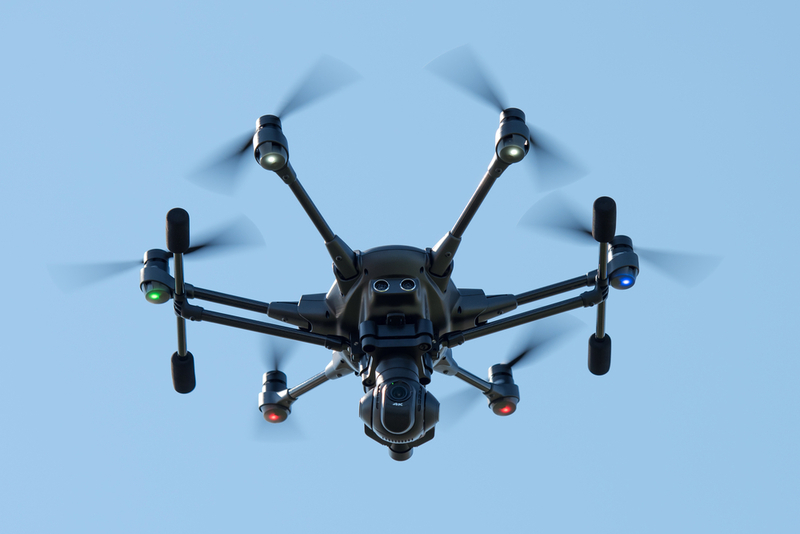 What gives Typhoon H Pro an edge over its arch enemy is its hexacopter design. 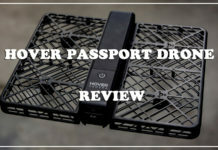 These rotors help the drone stay afloat even if the motor fails and the strong wind resistance makes your drone flying experience as smooth as a dream. The Intel RealSense Technology makes Typhoon a safer drone. Plus, the 360-degree rotating 3-axis gimbal makes pictures more versatile along with more stable. Speaking of rotating gimbal, the retractable legs will never become a part of your flawless shots. 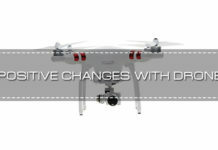 In addition to the above improvements, the Yuneec Typhoon H Pro is a quitter hexacopter drone. The ½ inch camera sensor of the Typhoon H is transformed into 1-inch camera sensor which can capture 4K videos at 60 fps and 20 MP as compared to 4K at 30 fps and 12.4 MP. The design of the newer version is more refined and sleek. It is bigger as compared to the earlier version (520mm and 480mm diagonally) but lighter at the same time (1950g vs 2205g with camera). The wind resistance is another performance feature upgraded- from up to 20 mph to 35 mph. Another consumer drone by DJI with which people often end up comparing Yuneec Typhoon H is Mavic Pro. 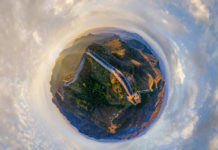 Though there are ample similarities between the two in terms of price range, the camera, 3-axis gimbal, and more; there are reasons why one can be preferred above another. A difference visible to the naked eye is that Typhoon H Pro is a big machine even after you fold its arms making it less portable. Mavic Pro, on the other hand, is light and portable. When it comes to speed and range, Mavic Pro wins the point with the maximum speed of 65 km/h. 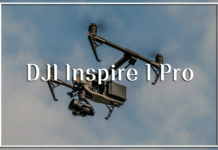 You need an additional smartphone or tablet to get the real-time transmission or First Person View from a DJI Mavic Pro whereas, all Typhoon H drones come with built-in displays to avoid any such required external additions. The Intel RealSense Obstacle Avoidance Technology used by Typhoon H Prois unbeatable. So, it goes without saying that Mavic Pro cannot beat that. Then again, the advanced algorithms and intelligent flight modes offered by Mavic Pro are something you don’t want to miss out on. 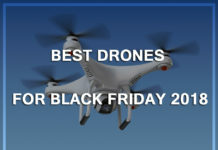 The above are a few differences between the two drones. 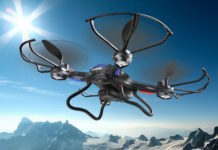 It is up to the user to decide which drones will suit their requirements the most. Though it is an easy process, you will have to invest some time in unfolding and fixing the propeller. The battery takes about 2 hours to charge, which is twice as long as batteries in other drones take. 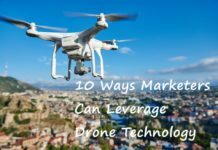 Above said, before deciding whether Yuneec Typhoon H Pro is worth the expenditure or not, you must know that this is the first professional quality drone available at consumer level prices. Available at just $1499.99, Yuneec couldn’t have come up with a better deal for a product loaded with features to take you by awe. So, wait no longer and capture the world with an all-new angle with Yuneec Typhoon H Pro.